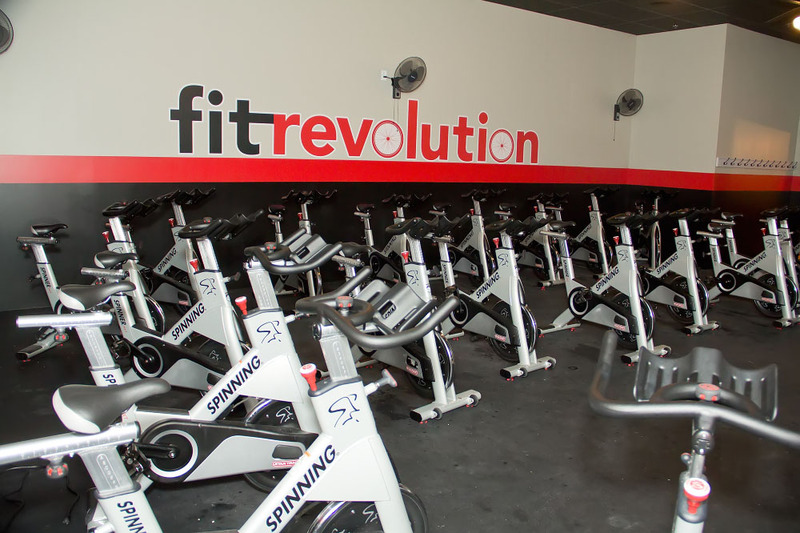 The spin room at Fit Revolution, a fitness training facility that opened in 2013 in the Boston suburb of North Reading, featuring audio components sourced through Guitar Center Professional. Photo courtesy of Fit Revolution. © 2015. WESTLAKE VILLAGE, CA, April 27, 2015 — Fit Revolution, an indoor cycling studio and “boot camp”-style fitness training facility that opened in 2013 in the Boston suburb of North Reading, keeps its hundreds of members in great shape with cutting-edge equipment and classes. Back then, Guitar Center Professional (GC Pro), the outside sales division of Guitar Center that focuses on the needs of professional users, stepped in to design and install a complete audio system for Fit Revolution Founder and Owner Michelle O’Connor. Illustrating how GC Pro builds lasting relationships with clients, when it came time to expand the successful spin studio late last year, O’Connor’s first call was to GC Pro. GC Pro Senior Account Manager PK Pandey, who managed the first audio system design and equipment sourcing for Fit Revolution, was there again for them, recommending a system that included seven Electro-Voice® EVID™ ceiling speakers powered by an EV CPS2.6 power amplifier and managed by a dbx® 640M ZonePro processor. A Stanton® C502 dual-CD/MP3 player provides the facility’s all-important music/audio content. The new system will provide the backdrop for Fit Revolution customers as they take advantage of new services such as kick-boxing and aerobics classes made possible by the new studio expansion, which brings Fit Revolution to a total of 2,500 square feet. Photo Caption: The spin room at Fit Revolution, a fitness training facility that opened in 2013 in the Boston suburb of North Reading, featuring audio components sourced through Guitar Center Professional. Photo courtesy of Fit Revolution. © 2015.